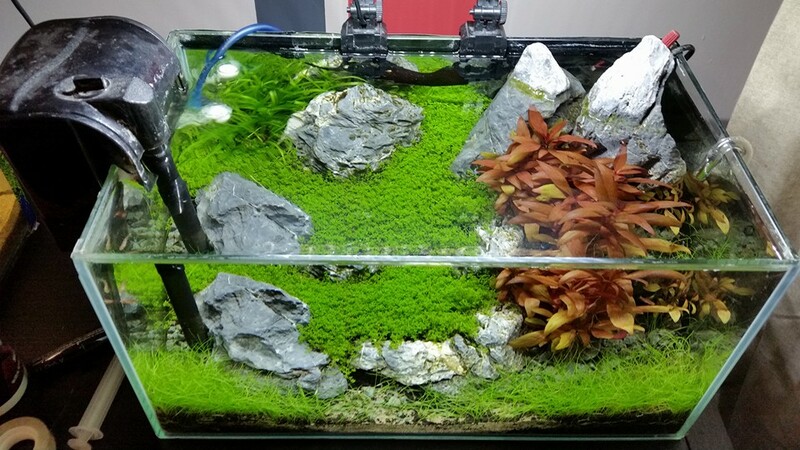 Aquascaping is a truly rewarding hobby, there are many moments that may give you that feeling that you have achieved something special. For me one of those moments was when I built my first successful planted aquarium. Unfortunately for me and for many it is also a hobby that can lead to frustration. One of my biggest sources of frustration for quite some time was my inability to create a successful carpet. There are many carpet plants out there these days, but one of most sought out is definitely Hemianthus callithricoides, also know as Cuba or Dwarf baby tears. This plant comes from North America, to be more specific from cuba which explains one of its names. It was first collected by Holger Windeløv and Eusebio Canicio Delgado Pérez]in 2003 in Las Pozas, Cuba, about 90 kilometres (56 mi) east of Havana. 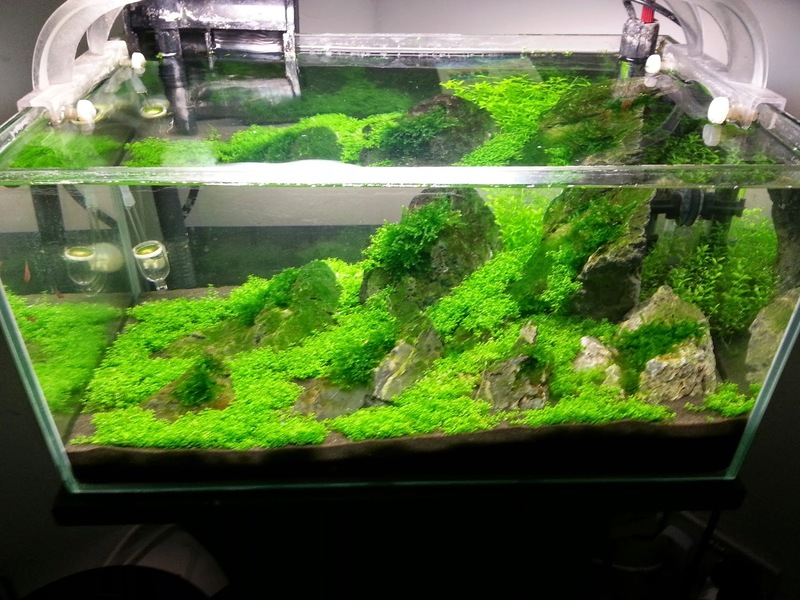 Now this is probably the most beautiful carpet plant in the market, its small leaves and light green colour makes it the best carpet plant to use when you want a carpet that really enhances a sense of scale as the plant only reaches as size roughly between 3 to 5 centimeters of height. For many years this plant frustrated many beginners, to the point that it grew a reputation of being a difficult plant to keep. This put me away from it for a long time. The irony was that having failed at growing easier to grow carpet plants like eleocharis parvula. My first success was eventually achieved using the "difficult" to keep Cuba. And after achieving it, I believe that this plant as gained an unfair reputation for being harder than it actually is. It is somewhat demanding, but not to the extreme that some would want us to believe. Actually its just a case of providing what it needs. And when that is done it becomes really easy to grow. So lets have a look at how to prepare this plant. This plant can be purchased either in its emerged form, in this case the plant will come planted in a pot with Rock wool. Or in its tissue culture form. I prefer the tissue culture form, in essence they are younger plants grown in a laboratory, because of this they come in a pot with a nutrient rich gel. They are a better option for shops, as they have a longer shelf life, meaning retailers can stock more of them without worrying about losing quality and because they are grown in a lab, they come algae, snails and pest free. Overall they are more bang for your buck, because despite being younger smaller plants, a pot comes with a lot more plants that the Rockwool version. 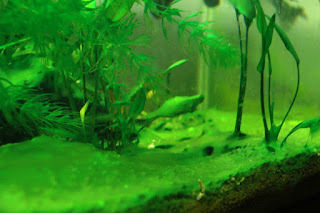 Also they adapt faster to being submerged as they don't have to go trough the transition from emersed state. The preparation of the plant is very similar in tissue culture to the rock wool version. In the wool version you just have to be careful when separating the plant from the wool not the break its tinny roots, and to remove all the pieces of wool. On the tissue culture just make sure to remove all the gel, because it is nutrient rich and may cause algae issues if put in the tank. 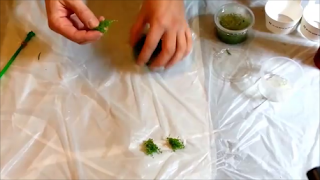 Then slowly divide the plant in small portions, be careful not to damage the plant when doing this, but in the end you can really break it into as much portions as you want. With time and patience you can actually break it into the tinny individual stems to cover a wider area. 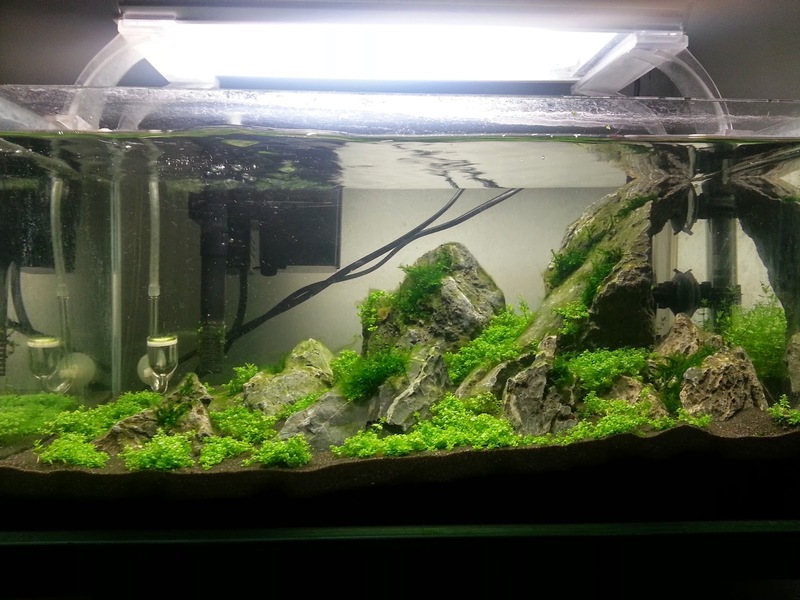 George Farmer created an aquascape years ago called the One pot iwagumi, where he actually broke down this plant to its individual stems, this allowed him to plant a tank with a single pot. The smaller you break the pieces the faster they will spread. 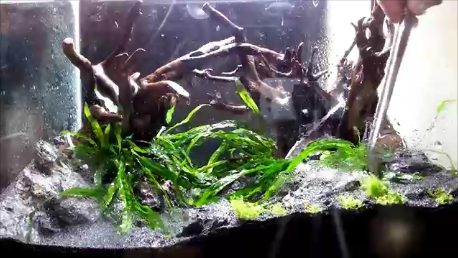 When it comes to planting this plant is a bit tricky, mostly because its roots are so small that it can be a bit difficult to get it to stay stuck on the substrate, but nothing that cannot be done with patience and a good pair of aquascaping tweezers. They are a must if you want to use this plant. You can also attach this plant to wood or rocks, using superglue or cotton tread however its not commonly used that way. When planting you should position the clumps around 1 cm apart in the shape of a dice number five, this is because it helps the carpet spreading and closing faster. 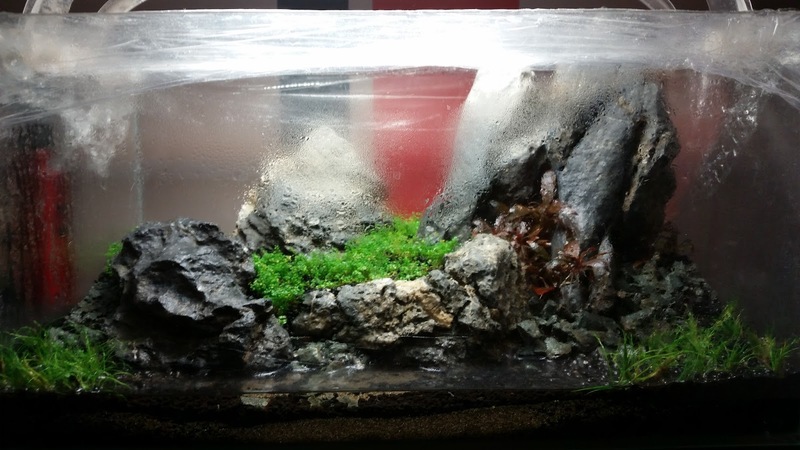 It should be planted in nutrient rich substrate preferably fine and loose, like aquasoil as this will make it easy for the smaller roots to penetrate and attach themselves. However i have successfully managed to grow it on fertile soil capped by sand as it can be seen in the photos throughout this blog post. 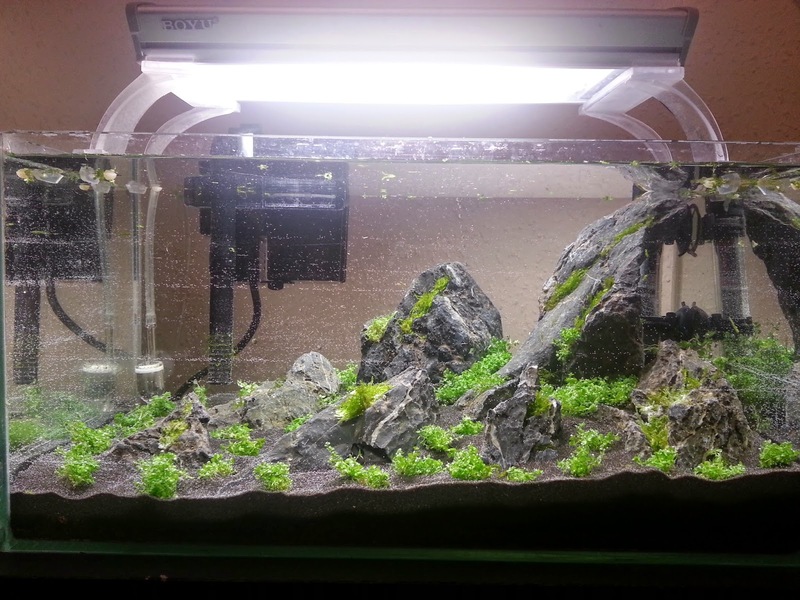 However a good substrate will most likely improve the carpets longevity considerably as in sand it tends to uproot quite easily. I also suggest getting the substrate moist enough so that there is a few centimeters of water this way when you plant the clumps the substrate will close on itself keeping them in place. 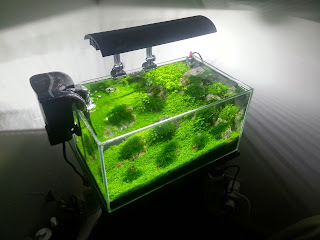 Finally i recommend use as much as you can, to try and get as much plant mass in there as possible, this will help with keeping algae away, and growing the carpet faster. Caring for this plant is not difficult, in the early stages it is hard to keep the plants rooted in the substrate, however with time the roots will grow and it will stop being an issue. Regular pruning promotes compact growth and avoids the lower parts of the carpet rotting due to lack of light. When this happens the carpet will get loose and float, ruining the aquascape. So pruning is a must to keep it healthy and to do it just cut the top of like if you were cutting the plant's hair. 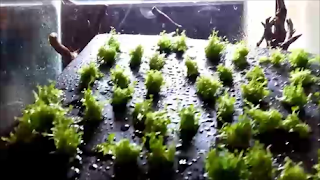 After planting depending on how much plant mass was used, it can take from 6 weeks to two months for the carpet to close, this however varies from setup to setup. This plant can be grown with a Dry start method, it is in fact one of the reasons why Tom Barr originally created this method. As its a plant that tends to float easily due to smaller roots. 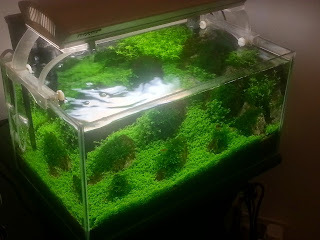 It also gets algae problems easily due to its very small plant mass. 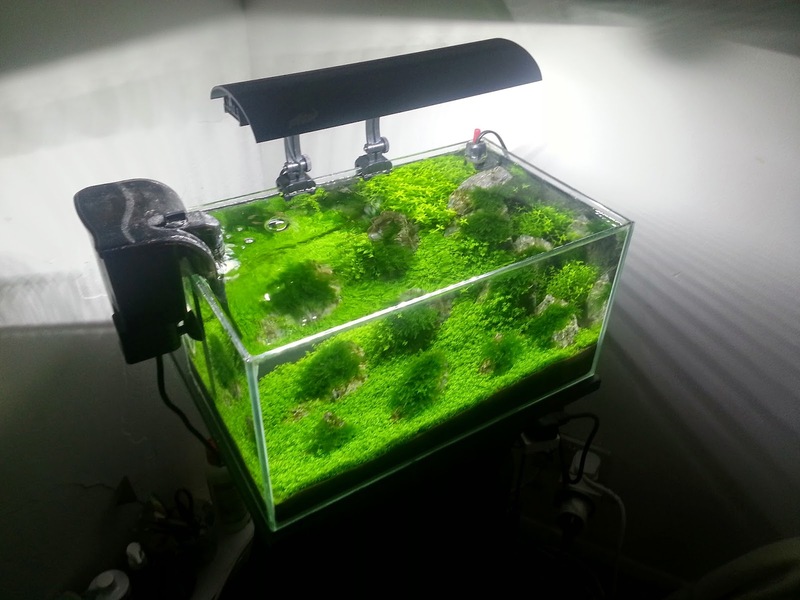 By using the dry start method, the plant can be allowed to grow and establish its roots before submerging. I have been very successful growing it this way. Most consider this plant a hard plant to keep. I find it easy, medium at best. It is though plant that is significantly more demanding than the beginner friendlies and its the fact that it dies off easily when those demands are not met that gave it its tough to keep reputation. It requires high light and a high and steady supply of co2, so for this plant a pressurized system is a must. 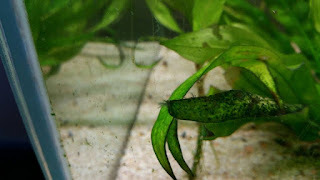 It is mostly used as a foreground plant as its tiny leaves make it a great choice for the front of the aquarium, but it can also used at the back if one wishes to enhance a sense of depth. 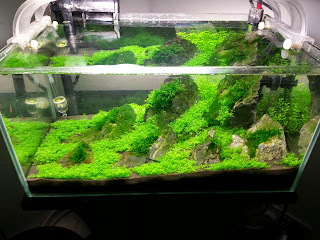 Its one of the best carpet plants to use on iwagumi setups. Its is not a slow grower, however it also not the fastest, i would say its growth rate is moderate which is not ideal on a plant with such a low plant mass, hence being a prime candidate for dry start. I hope this helps understand a bit more about this beautiful plant, its "difficult to grow" reputation has been fading off lately, but that may be also explained by the rise of the very similar and much easier to keep Micranthemum monte carlo, which means its no longer a plant as sought out by beginners as it once was. 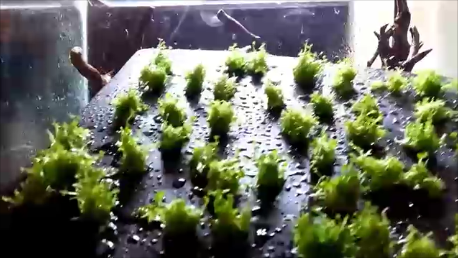 Below there's a few pictures of the different stages of growth this plant and also a video explaining how to prepare this plant.